I hope everyone had a fantastic weekend! 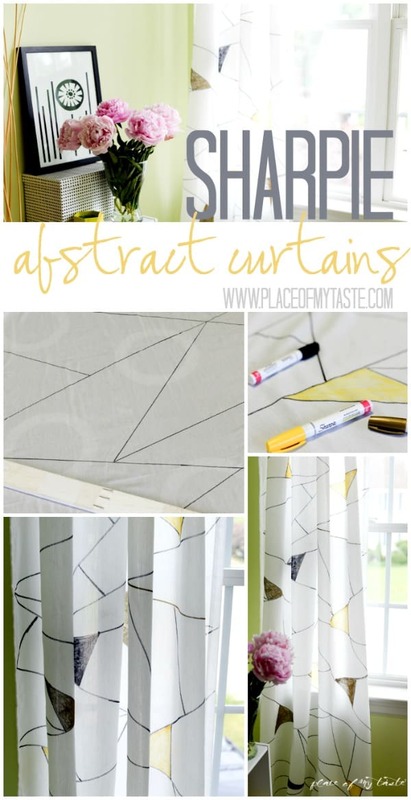 Today I am sharing a super easy and fun tutorial of how to make these chic abstract curtains using Sharpie Paint markers. Michael’s is one of my favorite stores to spend time in. 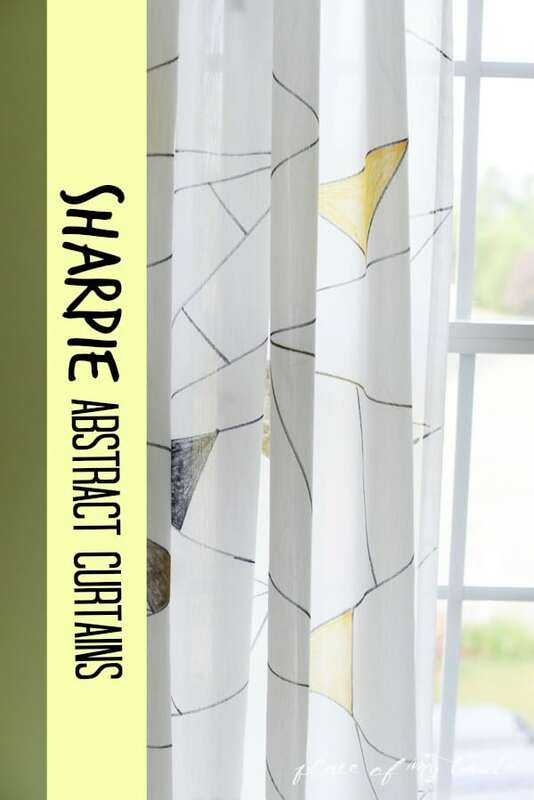 Sometimes I get lost in looking and thinking of a new project right there at the store:-) I came across these Sharpie Paint markers the other day at Michael’s and I quickly pictured this nice abstract curtain in my head. My office makeover slowly going in the background and this project is part of it. Eeekkk…I can not wait to share my new office. Stay tuned…There is more to come soon! I picked up 3 different colours of the Sharpie markers: black, yellow and gold. As a first step, I laid the curtains on a flat surface. 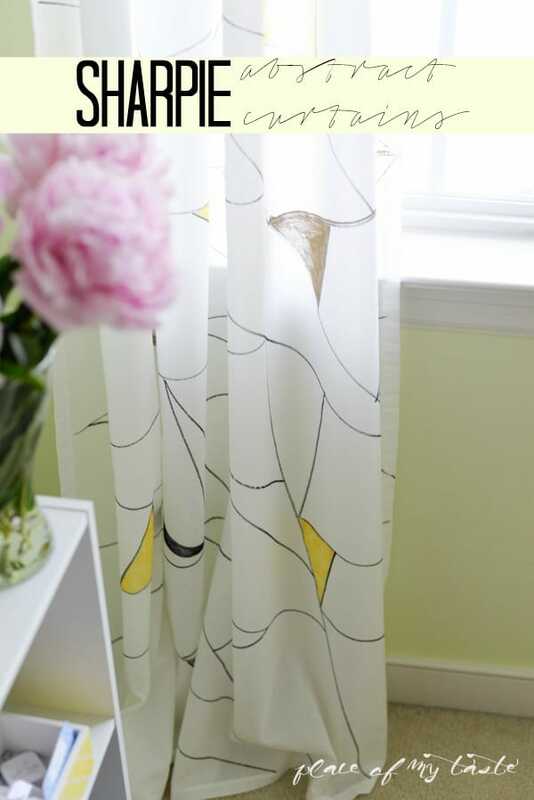 You need to make sure the curtains are smooth and have no wrinkles. I did not plan the shapes, just went on with my black sharpie paint marker and started drawing the lines across each other. I was trying to create little triangles that I colored for yellow, gold and black after I was done with my lines. and more. They are super quick drying and they are water-resistant. They have several colors at Michael’s stores. 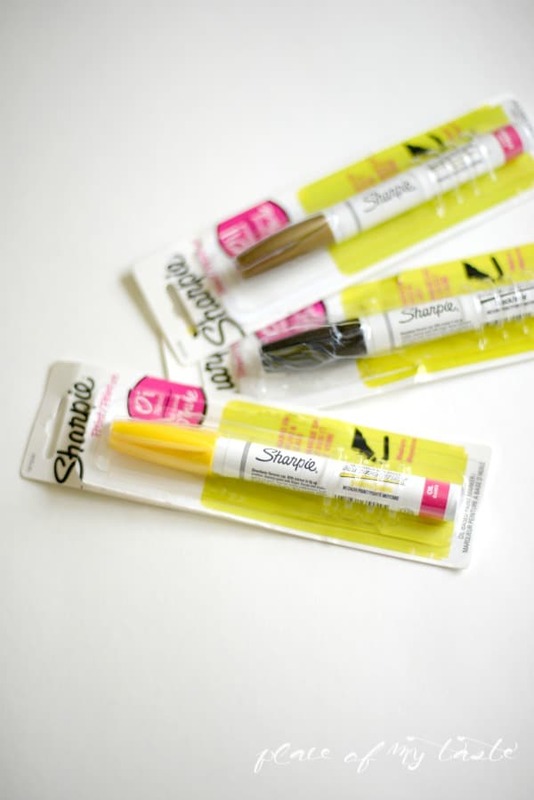 Follow Sharpie on Facebook or Twitter to see their latest products and promotions! Pin this image to your pin board so you can create your own sharpie curtain later. 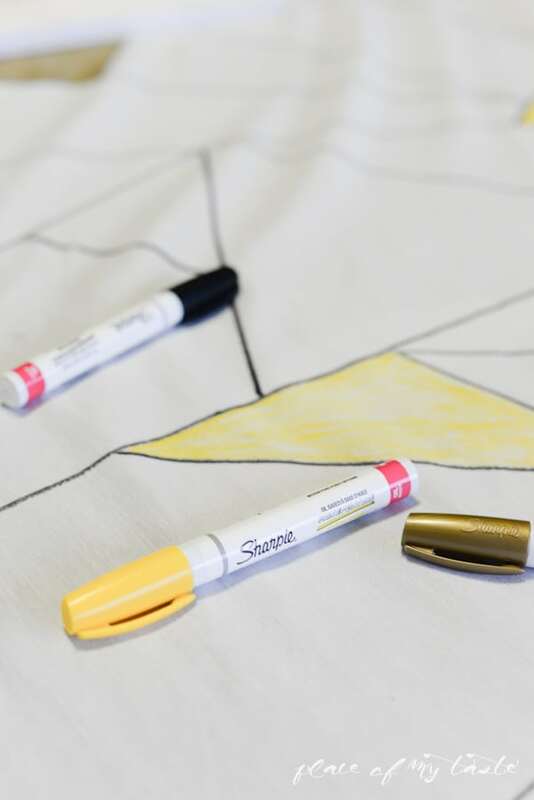 Will you make your abstract sharpie curtains or do you have another project in mind with these oil based sharpies? The possibilities are endless! Get your creativity going and have a wonderful day! Thank you Emily! I love it too! Have a great day! What a fabulous idea! I would have never thought to use sharpies!! Would love it if you’d share it at our link up party please 🙂 They look great, Aniko! Hi Kendra! Thanks for hopping over! I will come and link up♥ Have a great day! Thanks Selena! Have a great day! 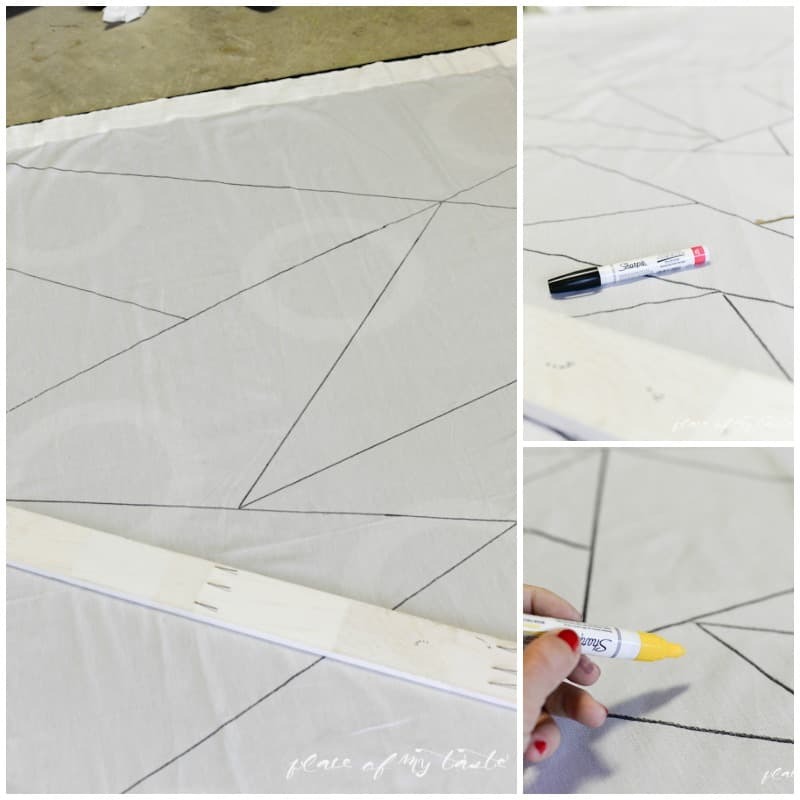 I’m loving this!… I can imagine doing something like that on my Girl’s Shower Curtains! Could be lots of fun and I love sharpies so it would be double fun!!! oooh… Love these, Aniko! Great pattern! I absolutely love Sharpie paint pens. Your curtains came out really nice. Pinned for inspiration.